When you think of property management, your first thought may not be video surveillance; but it should be. As a property manager, you wear a lot of hats and need the most powerful and useful tools to be successful. Property managers are those hired by a landlord, property investor, or owner, to manage daily operations over one or a number of facilities or sites. Typically, their jobs and exact responsibilities vary according to the need of the party which hires them and the type of facilities that are being managed, and can cover many aspects of the business. The responsibilities in property management are vast, but even property managers can’t be everywhere at once. They need tools that provide immediate insight into the status of the facilities in order to work effectively and proactively. 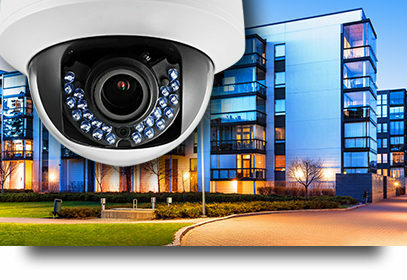 Video surveillance systems provide that insight. Monitor for safety hazards, code violations, lease violations, etc. Video surveillance systems are powerful tools, and the more you understand the technology the more effectively you can use them. Here are some important considerations. Know the system and its capabilities. Different systems can be composed of any number of components with a wide range of capabilities. Evaluate the system and learn what it can and cannot do. Talk to a professional. Gain insight from a professional about the system and explain what you’d like to accomplish. Most systems are adaptable or expandable. If it does not yet meet your needs, it likely would not take much to add elements to make it most effective. Find the problems. View surveillance footage from every hour of the day to look for problems such as unexpected glare from windows or other issues. Glare can cause your video footage to be ineffective in providing definitive data or proof should you need it. Know the laws. It is legal to use video surveillance in places where people do not reasonably expect privacy, such as hallways, but not where they do, such as restrooms. Consider video monitoring. Today, you can expect that any number of people have an eye on the facility and not all of those people have good intentions. Video monitoring makes sure that the good guys are always watching and ready to respond.